Overcast with rain showers at times. High 57F. Winds S at 5 to 10 mph. Chance of rain 70%.. While at OSU, Irene met her future husband, Warren Kan, whom she married on June 21, 1958, in Shoshone, then moved to Salem, where they both worked at Oregon Fruit Products Company. In the 1980s, the couple developed Sand Dollar Square, a mini-mall on Broadway near the turnaround. In 1992, they built and operated Cannes Cinema on 12th Avenue, and sold the movie theater in 2006. In 2000, they opened a MicroTel on U.S. Highway 101, and sold the hotel in 2008. She also helped pack food and supplies into backpacks for Head Start students, and delivered Sunday supper to elderly residents. A long-time member of the Seaside United Methodist Church, she sang in the choir. She is survived by a daughter, Pamela Kan-Rice of Moraga, California; a son, Marc Kan of Seaside; a sister, Nancy Paulson of Lehi, Utah; and several nieces, nephews and cousins. She was preceded in death by Warren, her husband of 53 years, and brothers Clarence and Fred. Friends and family celebrated Irene’s life at the Seaside United Methodist Church, followed by a reception at the American Legion in Seaside. 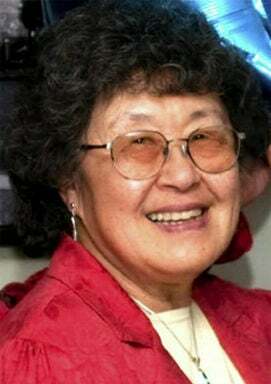 In lieu of flowers, donations may be made in her memory to the Kan Family Scholarship Fund at Seaside High School, 1901 N. Holladay Drive, Seaside, OR 97138, Seaside Public Library Foundation and Seaside Parks and Recreation Department Foundation.